Here we will look at international currency trading – the factors which impact on price, the major centres, the major currency pairs and the various people who participate in the market. The exchange of money in the global economy is huge and transactions are bigger than in any other investment market and amount to trillions of dollars per day. Is There a Best Time to Trade Currency Pairs? There is a lot of talk about the best time to trade currencies but most of the time you want to trade when you reach your order level and markets are generally liquid enough, to fill you order within a few pips. You will hear lots of people saying a few pips matter but they only matter, to short term day traders and scalpers. Day trading is a losing way to trade anyway so should be avoided. So for most traders trading long term time frames so it's best to get in the market when your level is hit. If there is one time of day which we like to trade here, its to put signals in the market we would choose the US close of business – its a psychological time of day as the trading finishes. The world's major currency is the US Dollar and the below are the major currencies traded against it with the biggest volume being in the Euro v USD and the the Yen. These currencies and the crosses within I.E. the EUR/JPY, EUR/GBP account for around 90% of all transactions while there are hundreds of currency pairs to trade the vast majority of transactions take place within the above group. Which is the best currency pair to trade? There isn't one single pair which is the best all the time and the pair which is best to trade for you will depend on the trading conditions in the pair at a particular time and the type of trading strategy your using in the market. There are many traders who focus on the majors only and many, just trade the Euro USD but by doing this, they are restricting their profit potential by not considering other pairs which could be trending well at the time. Which is the Best trending Currency Pair? I really like trading crosses because they can very often, offer smooth trends which have lower volatility than the majors V the USD. This means it's easier to stay with the long term trend. In conclusion, don't listen to anyone who tells you one pair is better than another all the time and that one pair trends better than any other. Keep an open mind, scan all the charts of the majors and also, look at the crosses. You don't care what pair you trade, you just want to make profits when you do – well that's my attitude to trading! 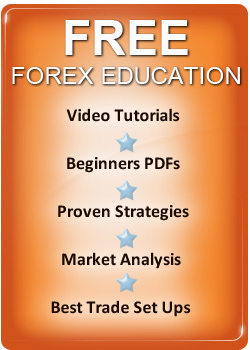 Nearly everyone has taken part in the FOREX market at some point even if they have never traded for profit. If you exchange money to go on holiday or bought something on the internet in a different currency you have traded currencies. Below, we have outlined the major groups which dominate the FOREX markets. Are the only group which has the potential to move a currency significantly and they will do this to strengthen or weaken a currency and are also involved in other, cross broker transactions. With the internationalization of trade, more companies are multi national and are involved huge amounts of foreign exchange transactions to buy goods, sell goods and pay employees over numerous different country borders. Of course, there are also big businesses based in one country which need to buy and sell in other countries. Global business trade increases as barriers to free trade come down and will continue to do so so the international currency markets will continue to see volumes continue to rise. These professional players, trade huge amounts of money and there only aim is to make profits on their trades. They have grown in size and influence over the last 30 years and the managed money industry has far more influence than it ever has had which has attracted, significant regulation to these institutions which shows there importance in the currency markets. With the rise of the Internet and Electronic currency trading, account minimums have fallen dramatically and we have seen a massive rise in retail traders who are trading for profit. In fact today, FOREX trading is promoted my many brokerages as a route to easy wealth and the industry attracts a huge amount of individuals who should not be trading. Can anyone learn to trade FOREX? Can you make money trading currency markets? The answer is yes and you will find more information on this site how you can avoid the mistakes of the majority and use Proven Trading Strategies to build wealth and trade Currencies Like the Professionals Traders do – International currency trading is huge and its the world's biggest business and if you respect it and educate yourself, you can make great profits, trading currencies from home.